The former head of the Joint Chiefs of Staff – the highest ranking military officer in the United States – said that the Iraq war was “based on a series of lies”. Many high-ranking military officials, top Republican leaders and key architects of the Iraq war said that the war was really about oil. And yet the American people haven’t seen any benefit … top oil economists have said that the Iraq war substantially raised the price of oil. The American government sold the Iraq war under false pretenses. Indeed, the American government planned the Iraq war long before 9/11. Former CIA director George Tenet said that the White House wanted to invade Iraq long before 9/11, and inserted “crap” in its justifications for invading Iraq. Former Treasury Secretary Paul O’Neill – who sat on the National Security Council – also says that Bush planned the Iraq war before 9/11. Top British officials say that the U.S. discussed Iraq regime change even before Bush took office. In 2000, Cheney said a Bush administration might “have to take military action to forcibly remove Saddam from power.” And see this and this. Indeed, neoconservatives planned regime change in Iraq 20 years ago. National security experts – including both hawks and doves – agree that waging war against Iraq and other Middle Eastern countries has weakened America’s national security and increased terrorism risks. See this, this, this, this, this, this, this and this. Similarly, neoconservatives planned regime change in Syria 20 years ago. And carrying out acts of violence and blaming it on the Syrian government as an excuse for regime change – i.e. false flag terror – was discussed over 50 years ago by British and American leaders. 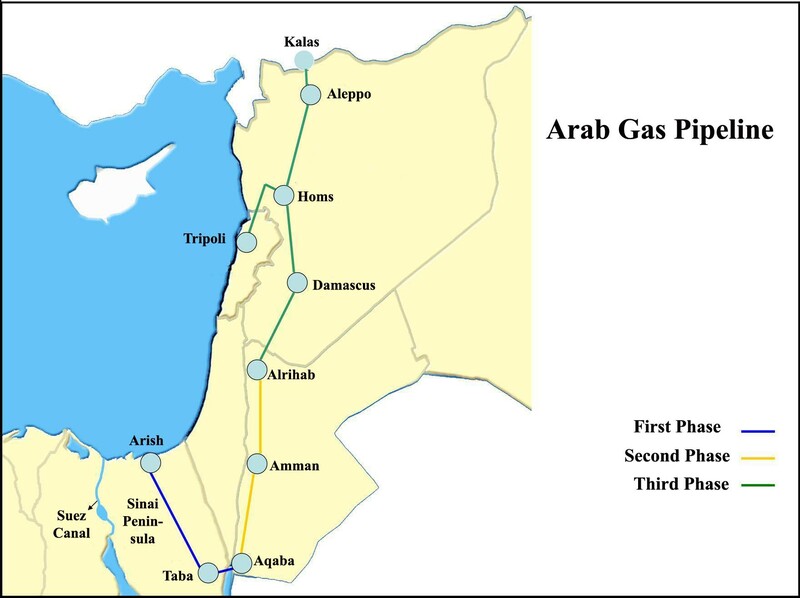 Syria’s central role in the Arab gas pipeline is … a key to why it is now being targeted. Just as the Taliban was scheduled for removal after they demanded too much in return for the Unocal pipeline, Syria’s Assad is being targeted because he is not a reliable “player”. 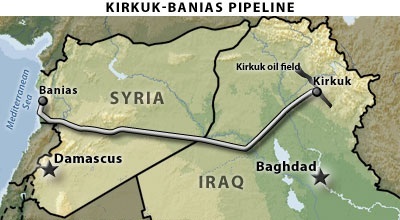 Specifically, Turkey, Israel and their ally the U.S. want an assured flow of gas through Syria, and don’t want a Syrian regime which is not unquestionably loyal to those 3 countries to stand in the way of the pipeline … or which demands too big a cut of the profits. A deal has also been inked to run a natural gas pipeline from Iran’s giant South Pars field through Iraq and Syria (with a possible extension to Lebanon). 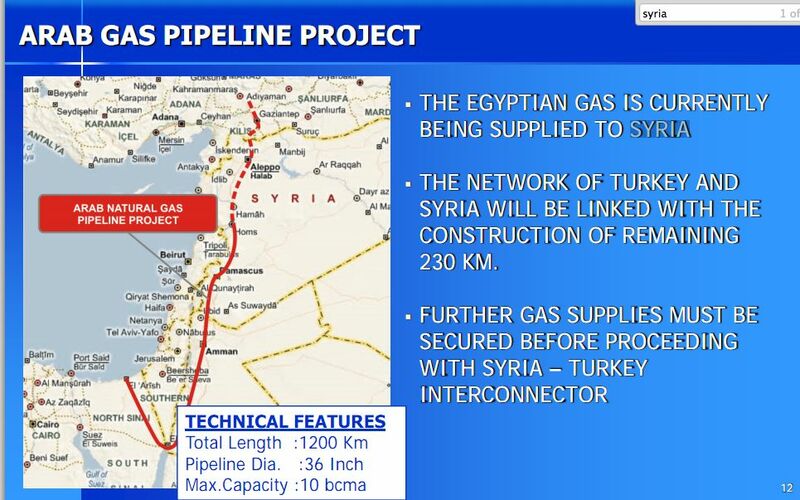 Turkey and Israel would be cut out of these competing pipelines. No wonder Turkey and Israel are both launching military strikes against Syria. 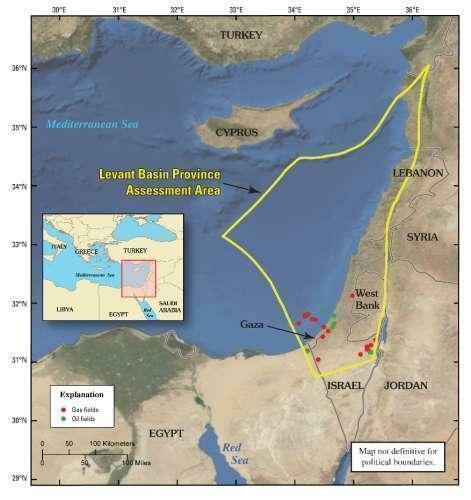 On the other hand, Russia’s giant natural gas industry would be threatened if Syria’s current regime is toppled … no wonder Israel and Russia are getting into it over Syria. And the monarchies in Qatar and Saudi Arabia would also benefit as competitors in the gas market if Syria’s regime is taken out … so they’re backing the “rebels” as well. Indeed, the U.S. has been arming the Syrian opposition since 2006. And the U.S. is now considering imposing a no-fly zone over Syria … which was also the opening move in the wars against Iraq and Libya. Bush launched the Iraq war under false pretenses … similarly, the war in Syria is really being launched by Obama and natural gas players in the region who want to cut Syria and Russia out of the game. Postscript: If the corporate media were reporting more accurately on Syria than they did on Iraq, the American people would realize that there is grave doubt about who is most responsible for the violence, and who really used chemical weapons in Syria. Not that Assad is a saint, but he poses no danger to the United States, and shouldn’t be demonized and turned into a threat to American national security man any more than Saddam Hussein. The Iraq war will end up with a final price tag of between $5-6 trillion dollars. We simply can’t afford to get involved in another war … especially with Russia and Iran actively aligned against us.